Two books were published at the end of 2006 / start of 2007: one about offshore radio in Britain and Holland, the other about Israel's most famous maritime station, the Voice of Peace. 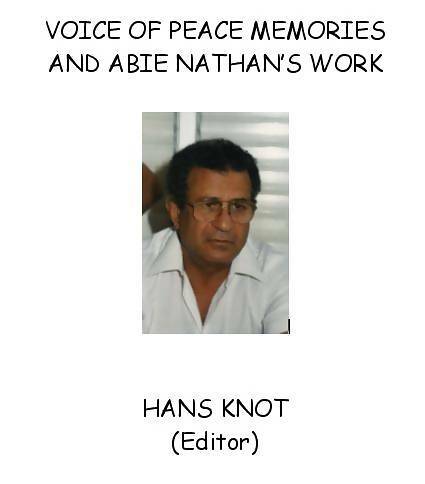 The book on the Voice of Peace, and its founder Abie Nathan, is written and edited by Hans Knot. He has previously published a large number of books on the subject of offshore radio in both Dutch and English, including The Wet And Wild History Of Radio Caroline. During the past year a lot of work has been done to research not only the history of the Voice of Peace but also the various humanitarian jobs Abe Nathan has done through the past four decades. With assistance from people close to Abe, former deejays and staff of the station, Hans Knot has succeeded in writing a 250 pages book. In the book are many exclusive photographs, but as there were hundreds of photos sent in by many people, a ‘photo cd’ will also be included. The book will be officially presented at the annual Radio Day in Amsterdam on 4th November 2006. The book can now be ordered from the publisher. The price for people in the Netherlands will be 30 Euro, including postage and packing. For people outside the Netherlands the price will be 33 Euro. You can pay by sending cash in an envelope to SMC, PO Box 53121 1007 RC Amsterdam. Or you can pay your money to Giro account 4065700, in the name of Mediacommunicatie Amsterdam. Don't forget to mention IBAN number: NL 37 PSTB 0004 0657 00 BIC: PSTBNL21. This is to avoid high costs. The other book has been out before, in fact it was the first to be published on the subject of offshore radio. Paul Harris's definitive book, When Pirates Ruled The Waves, is now re-issued in a revised form. When Paul first wrote the book in 1968, nobody wanted to publish it. The recently introduced Marine Offences Act made it illegal to “promote” offshore radio and people were scared. So he published it himself. This was a brave decision but, at the age of 17 - as Paul was at the time - teenage enthusiasm can often outweigh caution. As it turned out, it was not only brave but also a very profitable decision as the book went on to sell extremely well. Paul was later to get involved in the setting-up of an offshore station, the Dutch sweet music outlet Capital Radio. This was not a success but it did lead to his second book, To Be A Pirate King, which covered the stations of the early seventies. These two two books were later combined in Broadcasting From The High Seas and, despite the title, this new edition is actually a revised version of that omnibus volume. The new edition was originally due to be published in October 2006 (see Paul's email below). There were delays but it is out now and available from Amazon. 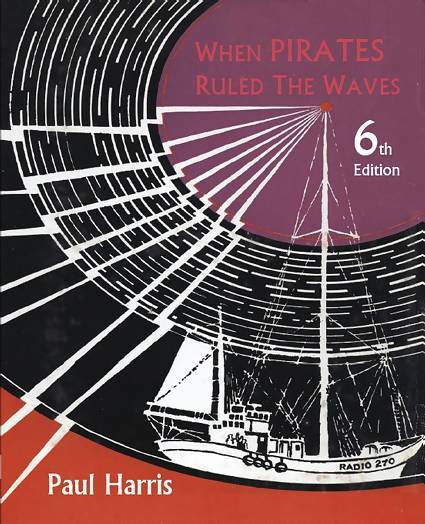 This is to advise you that my book When Pirates Ruled The Waves, which was published in 4 editions 1968-70, and subsequently re-issued in 1978 as Broadcasting From The High Seas, will be re-published in October 2006 by Kennedy & Boyd Publishers, Glasgow. The text and illustration will be substantially the same as Broadcasting From The High Seas, with updates, a new introductory chapter and some new illustrations. Web-master's note: After Paul sent his email, the publication date of the book slipped back but it is available now.